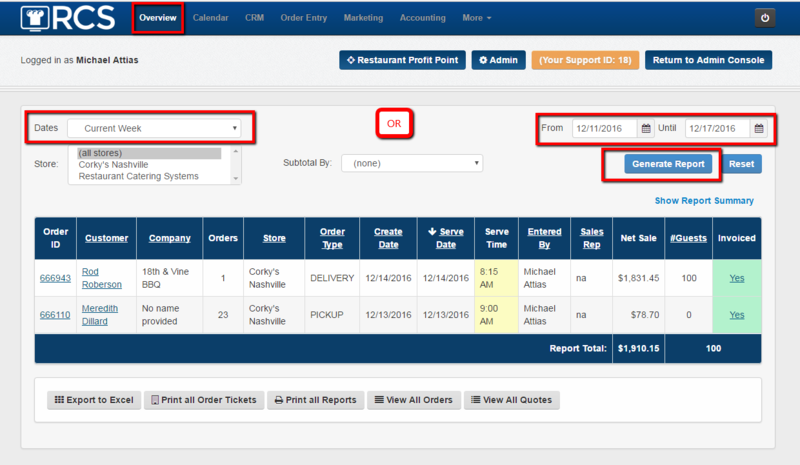 This article will go over how to print all the reports for a date range of orders found in the Overview tab. 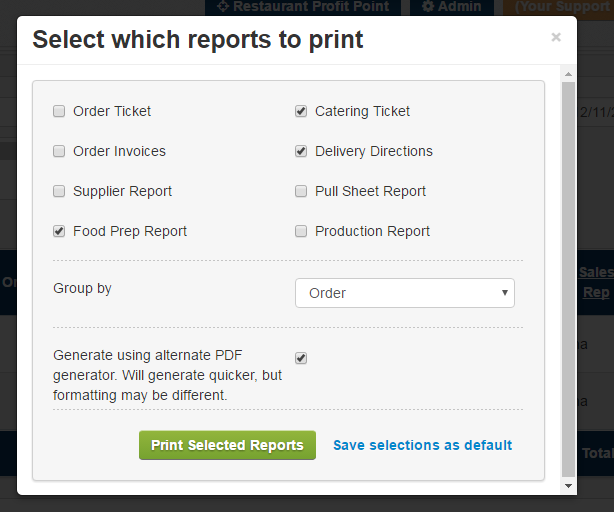 You can also choose which reports you have to have printed as well. 1 - Click on the Overview tab. 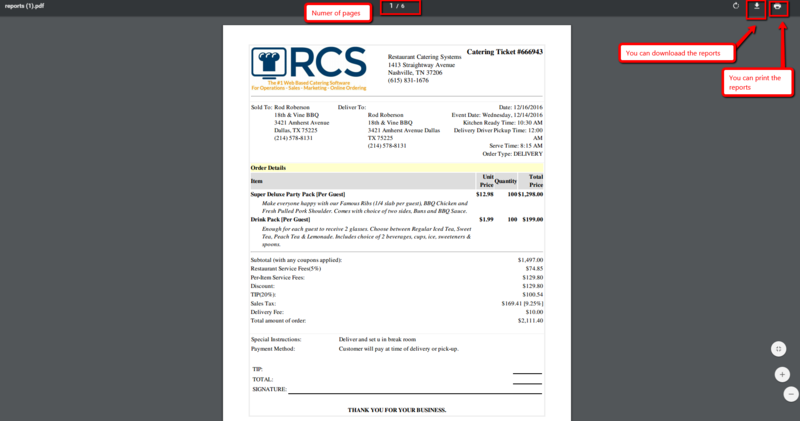 Select the date range you want to look up from the Drop Down box or the Customize Date Range. Then click on the Generate Report tab. 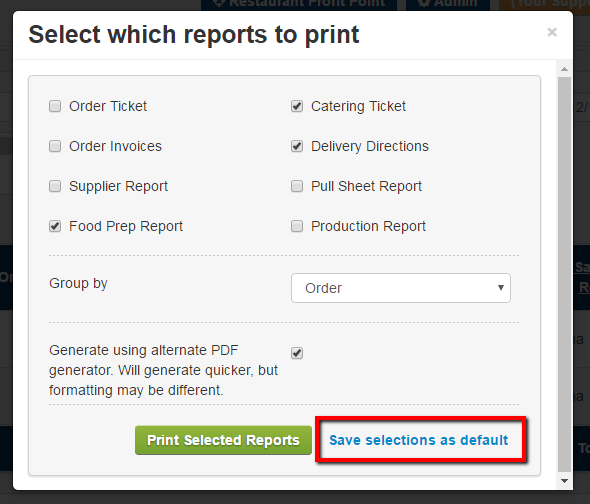 2 - Next click on the Print All Reports tab. 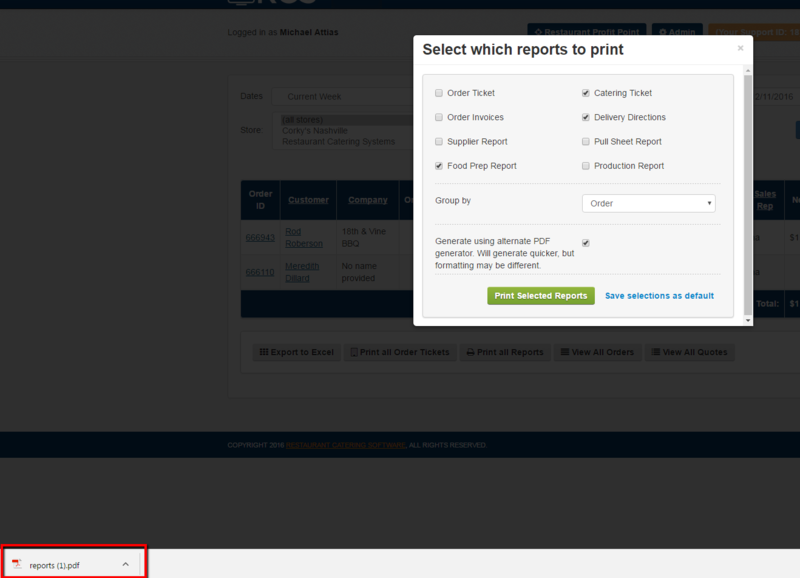 3 - A pop up box will appear asking you to select the reports you would like to have printed. You can then check off the reports that you want to have printed. 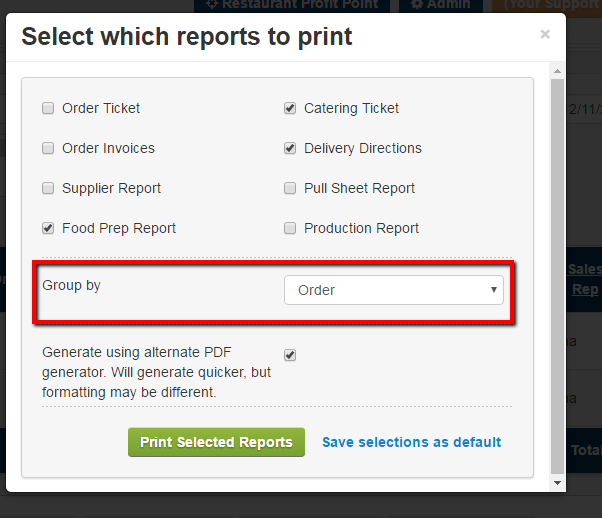 4 - Please note that you can change how you will Group the printing from Order to Report. 5 - Please note that you can save the Reports you checked off by clicking on the Save Selections As Default link. This means that the reports that you just checked off will be checked off the next time you use the Print All Reports tab. 6 - We 100% recommend you have the reports printed as a PDF. So please leave the PDF box checked. 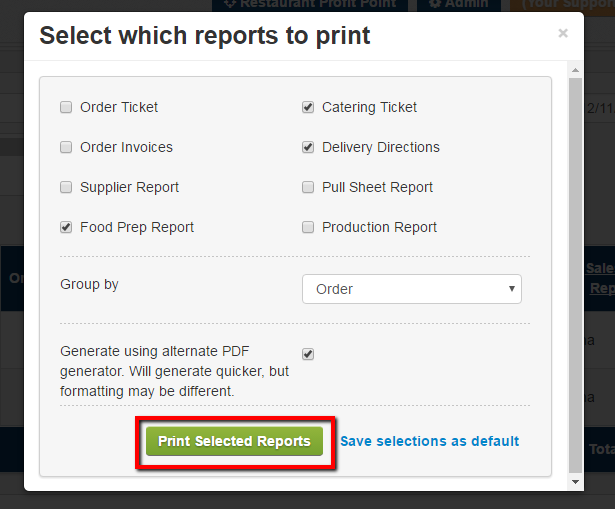 7 - Once you have selected the Reports you want to print click on the Print Selected Reports tab. 8 - A PDF will download to your computer. This may be in a different location for your computer. You can find your downloaded file by looking in your download file on your desktop. 9 - Once you open the PDF you will see the reports you selected. Please note the number of pages. You can choose to download the reports to a specific location. 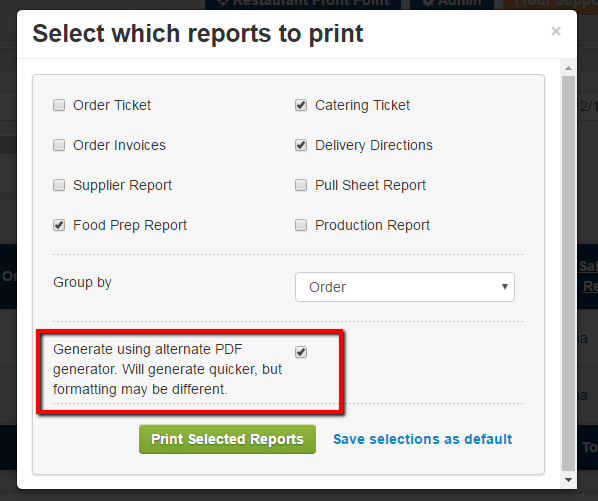 You can print the reports. 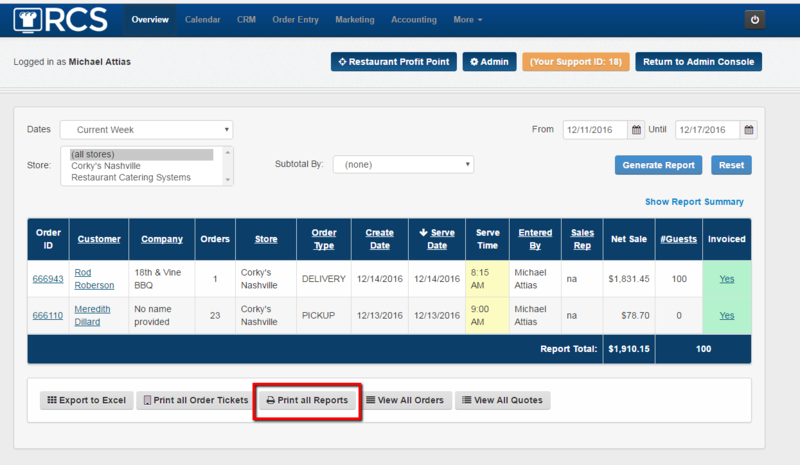 You have now learned how to Print Selected Reports for a specific date range of orders.